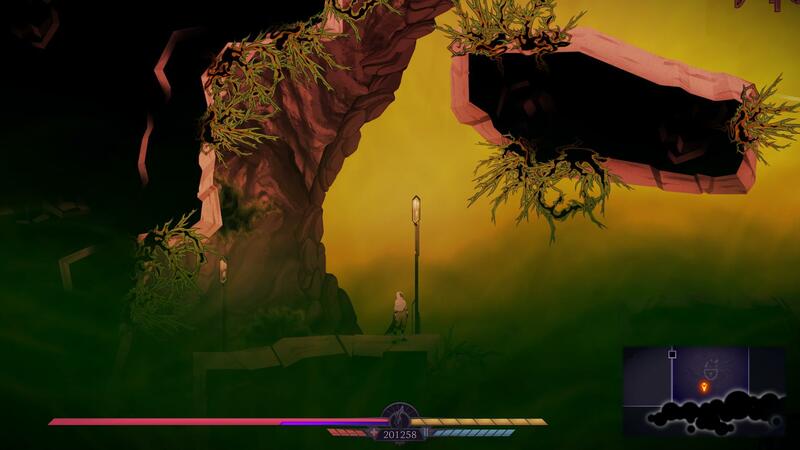 This guide will detail how to obtain all the achievements in Sundered. 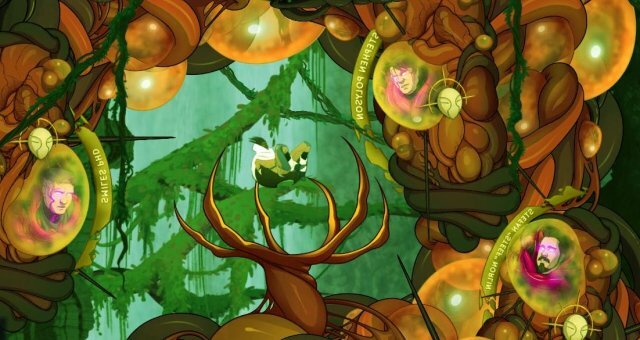 You will need to complete at least 3 full playthroughs to obtain every achievement - one for each possible ending. This means you can do your first playthrough without having to worry about what ending to go for! 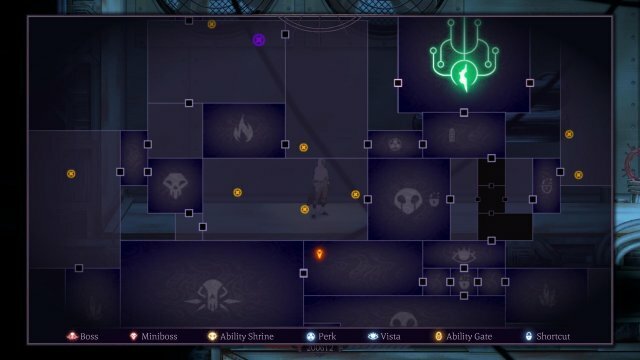 How to Get Each Endings and Final Bosses. 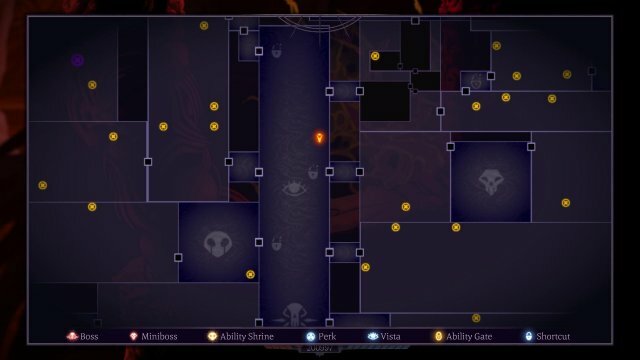 Hidden Skill Location (The Roll Attack). Can't miss this one. You will obtain the Shield ability shortly after encountering the Trapezohedron. Hordes occasionally appear during exploration. They spawn a lot of enemies in a short period of time. I'm not sure if you need to kill all the enemies for this achievement to count or just survive, but rest assured you will get it easily. 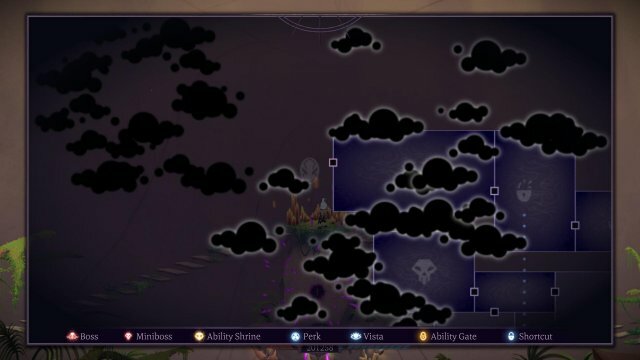 Each region has three minibosses. They can be found across the map and are beefed up versions of regular enemies. Perks are obtained as drops from Lith enemies, from corrupted treasures, and in certain areas of the map. 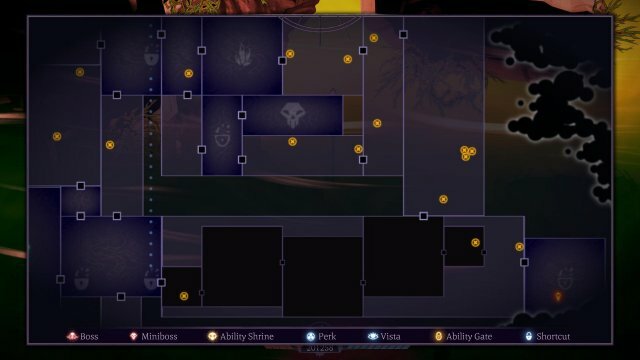 To equip them, open your skilltree and select one of the perk slots in the middle. You should get this naturally while playing. Open corrupted treasures and defeat (mini)bosses for large amounts of shards. Shield: in the Valkyrie Base, after first meeting the Trapezohedron. Can't miss it. Leaping device: in the Valkyrie Base, after restoring power to the west wing and beating the first miniboss. Cannon: in the Valkyrie Base, after restoring power to the east wing and beating the second miniboss. Smash: in the City of the Eschaton, after dropping down the Visa room and surviving the Horde. Dash: in the City of the Eschaton, after unlocking the lower shortcuts in the Visa room and defeating the first miniboss. Wallrun: in the Cathedral, after unlocking the third level of the elevator. 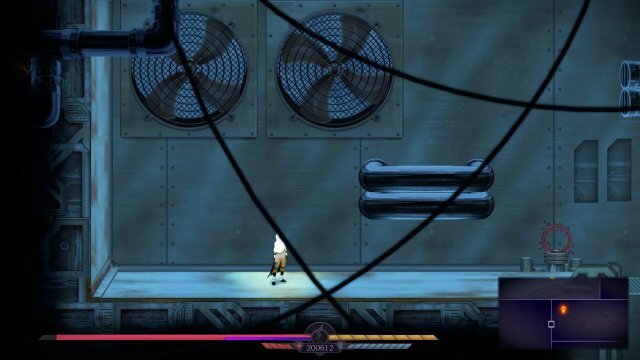 Grappling hook: in the Cathedral: just before unlocking the fourth level of the elvator. Before you can do this, you must first purchase additional perk slots. Both of these upgrades can be found on the left side of the skilltree. After obtaining an Elder Shard, return to any Ability Shrine and sacrifice the Shard to corrupt the Ability, greatly improving its power. Can not be obtained in the same playthrough as Resist or Beacon of Hope. The same as for True believer, just use all 7 Elder Shards to corrupt every Ability. Can not be obtained in the same playthrough as Science Prevails, Resist, The Crawling Chaos and Beacon of Hope. Destroy your first Elder Shard. 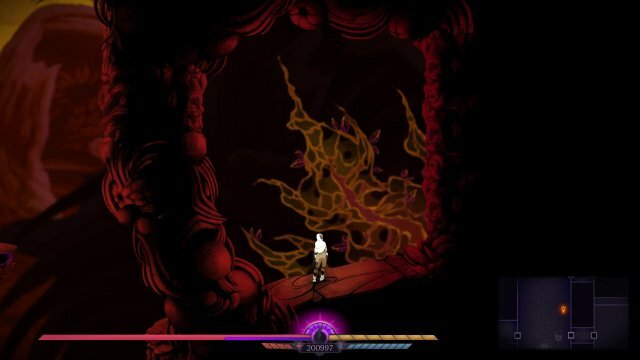 Can not be obtained in the same playthrough as Embrace or One with the Void. The same as for True believer, just burn all 7 Elder Shards. Can not be obtained in the same playthrough as True Believer, Embrace The Crawling Chaos and One with the Void. Defeat all 9 Minibosses. There are 3 in each area, and they can be found easily by fully exploring the map. Dominion is the first boss, found in the Valkyrie Base after restoring power to both wings. Hysteria is the second boss, found in the City of the Eschaton. She can be reached after obtaining the abilities Dash and Smash. This duo is the third boss, found in the Cathedral. Before you can enter it, four locks need to be opened around the Cathedral. This boss appears when completing the neutral ending (by corrupting fewer than 7 abilities and incinerating fewer than 7 Elder Shards). Can not be obtained in the same playthrough as Embrace, Resist, One with the Void and Beacon of Hope. This boss appears when you complete the embrace ending by corrupting all 7 abilities. Can not be obtained in the same playthrough as Science Prevails, Resist, The Crawling Chaos and Beacon of Hope. Defeat Nyarlathotep & The Shining Trapezohedron. This boss appears when you complete the resist ending by incinerating all 7 Elder Shards, Can not be obtained in the same playthrough as True Believer, Embrace,The Crawling Chaos and One with the Void. 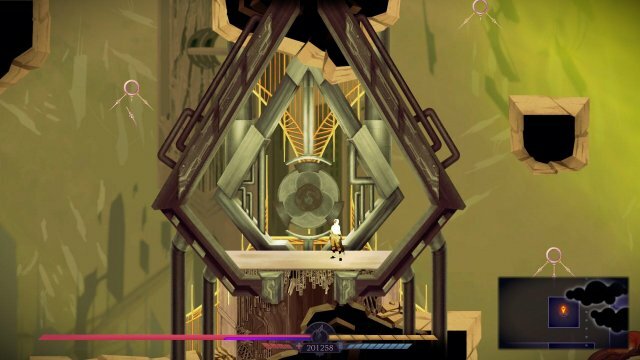 Fragment 1: right before the first boss, Dominion. Go to the top right corner of the room and use any combination of Cannon recoil and movement abilities to cross the gap between the lasers. Fragment 2: in the tall Vista room in the second area. From the top right entrance, slide down the wall to find the hidden room. Fragment 3: in the ability lock room at the far bottom right of the third area. Simply drop down through the floor to get it. If for some reason you have any trouble finding the fragments, they will appear on the map after purchasing Scavenger from the skilltree. If you are doing the resist ending and thus have 4 perk slots, use both Magnet and Nemesis. Also make sure to purchase the scavenger trait in the skilltree. Next, pick any Lith Horde spawn point (purple orbs on the map) that is close to Sanctuary, and make your way there, destroying any corrupted treasure along the way that isn't too out of the way. Complete the horde, return to Sanctuary and repeat. This method can net you about 25,000 Shards in about 5 minutes with high Luck and should make it quite easy to get the achievement. Lastly, equip the Nemesis perk before defeating any boss or miniboss, to minimize the total time spent farming shards. This perk can be found in a hidden area in the Cathedral. Take the shortcut elevator to the 4th stop, then drop down and to the left to find it. This perk is dropped by the hidden boss, Hanosha Ischott. 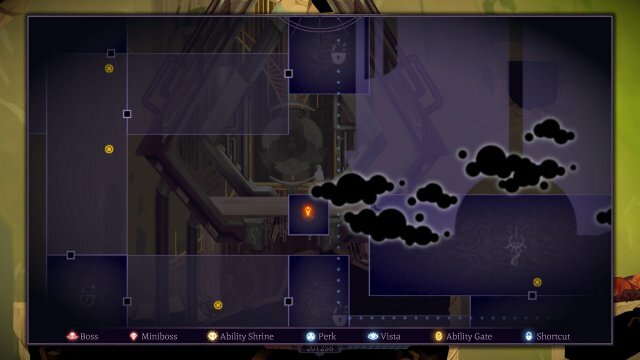 To access it, you mist first obtain 3 masks, one from each area. These areas feature puzzles that must be completed to obtain a mask. 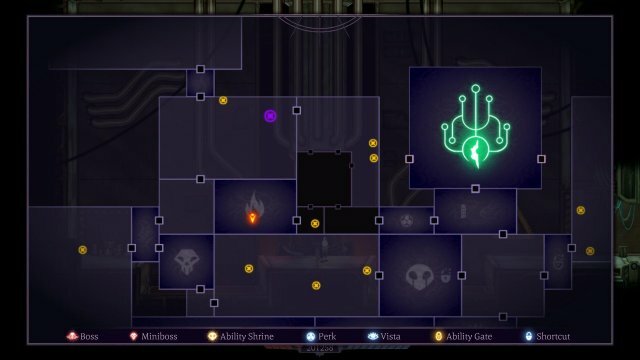 The area in the Valkyrie Base has a few laser puzzles, where switches can be used to toggle lasers on and off and open doors. The puzzles aren't very hard, and with enough health you can even cheese some puzzles by simply dashing through lasers. At the end, you are assaulted by a Horde of Lith Meteorites and unreachable Hunters. Surviving this grants the mask. The mask area in the City of the Eschaton features gongs. These gongs summon Screamers that can be used to reset your double jump to make your way up. They also destroy orange tendrils near them - if there are multiple gongs near one tendril, all gongs must be rung shortly after another to destroy it. At the top is a large orange blob, held in the air by such tendrils. Use the gongs to destroy them, after which the blob crashes to the ground and drops the mask. The final mask area in the Cathedral requires 5 gongs to be rung. However, the gongs are blocked off by toxic clouds. Scattered around the area are rifts to a dark dimension. While in this dimension, large amounts of enemies will spawn, but the toxic clouds disappear, allowing you to reach all the gongs. After ringing all 5 gongs, the mask appears in the center. After obtaining all 3 masks, head to the large Vista room in the City of the Eschaton, and drop to the bottom. The door will now open, allowing you to kill the hidden boss for the Eradicator Perk. Note that perks don't need to be upgraded to level 3 or 4 for ths achievement, they only need to be found.